Save the dates for Reston Community Center’s 31st annual Martin Luther King Jr. Day activities. The theme of celebration: Are We Keeping the Promise? There will be music, family activities and special guest playwright/actress Anna Deavere Smith, who will deliver the keynote address at Monday’s community luncheon, as well as a Sunday night presentation From Rodney King to Michael Brown at RCC’s CenterStage. Here is the full lineup of events. Some require advance registration or tickets. 9 a.m., Southgate Community Center, 12125 Pinecrest Rd. All ages. Free. RCC is partnering with Southgate Community Center, Reston Association, Cornerstones, and The Closet on community service projects. Indoor projects include making bag lunches for the Embry Rucker Community Shelter, sorting and organizing items from The Closet and several other projects at Southgate Community Center. There will also be several outdoor projects such as cleaning up the natural areas, pathways, and hardscape surrounding the area, weather permitting. Volunteer activities conclude around noon, at which point volunteers will gather to share a lunch that will be provided. Sorting donations is for ages 13 and up. Children 12 and younger are welcome to participate in the other projects, but they must be accompanied by an adult age 18 or older. To volunteer, please contact Ha Brock, Reston Association Volunteer & Community Outreach Coordinator, at 703-435-7986 or [email protected]. Reston Community Orchestra’s 10th Annual Memorial Tribute to Dr. Martin Luther King, Jr.
As part of the community’s annual tribute to the late Dr. Martin Luther King, Jr., the orchestra will be Remembering the Dream. The program features an array of composers from diverse backgrounds designed to reflect Dr. King’s belief in equality, freedom, and brotherhood. Reston singer Beverly Cosham and other solo artists, choruses and student groups will participate. Voices of Inspiration a musical program honoring Dr. Martin Luther King, Jr. This event is sponsored by the Martin Luther King, Jr. Christian Church and includes many Reston faith communities. Free and open to all ages. 8 p.m., CenterStage at RCC Hunters Woods, $25 Reston/$35 Non-Reston Purchase Tickets. Smith has been listening to people across the country from all walks of life for the last several years, using Walt Whitman’s idea “to absorb America” as an inspiration. Using interviews she conducted following the aftermath of the first Rodney King trial in 1992, Ms. Smith offers an update to her Twilight: Los Angeles, 1992 show with this exploration of race relations in America. $5 Reston resident/$10 Non-Reston. Purchase Tickets. 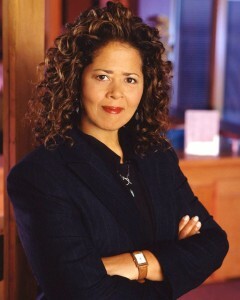 Anna Deavere Smith’s Keynote Address will explore issues of race, identity and community in America. Join her to experience the intensity of recognition as she uses her artistic powers to prompt discussion, public debate and action in honor of Dr. King and his legacy. 11:30 a.m. – 2:30 p.m., RCC Hunters Woods. 6-12 Years Old. Free, but registration required. Register your school-age child (first through sixth grades) to participate in activities at RCC. Children will rotate through a series of activities including a performance, an age-appropriate video, and arts and crafts. All activities will be based on the history of Dr. King and the civil rights movement.